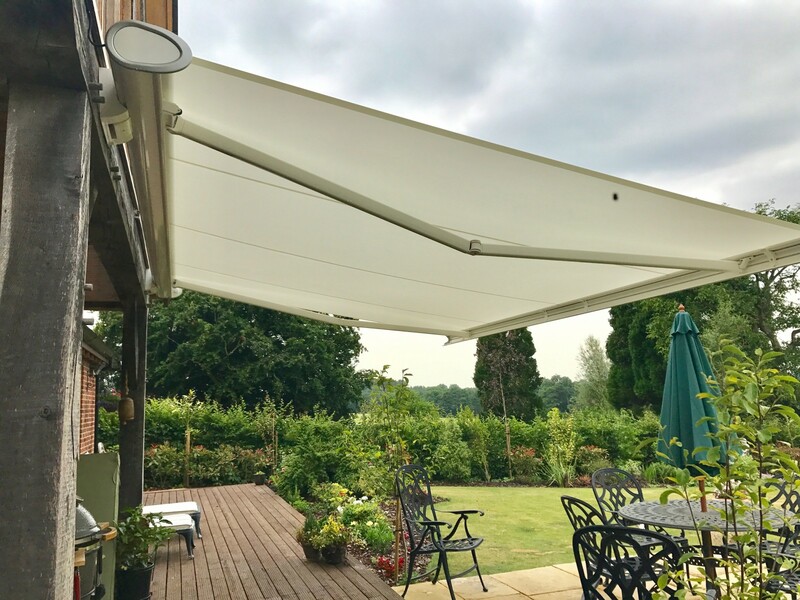 We have just completed fitting this stunning Weinor Semina Life Electric Patio Awning to a residential barn in Salisbury. 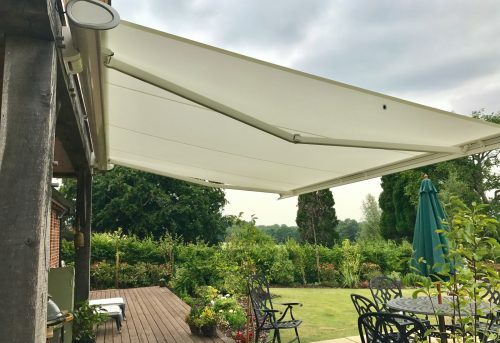 Our client wanted some shade for their outdoor decking area leading from large patio doors and the result is fantastic; the lovely block plain neutral colour compliments the outside of the property and blends in naturally with the outdoor space. 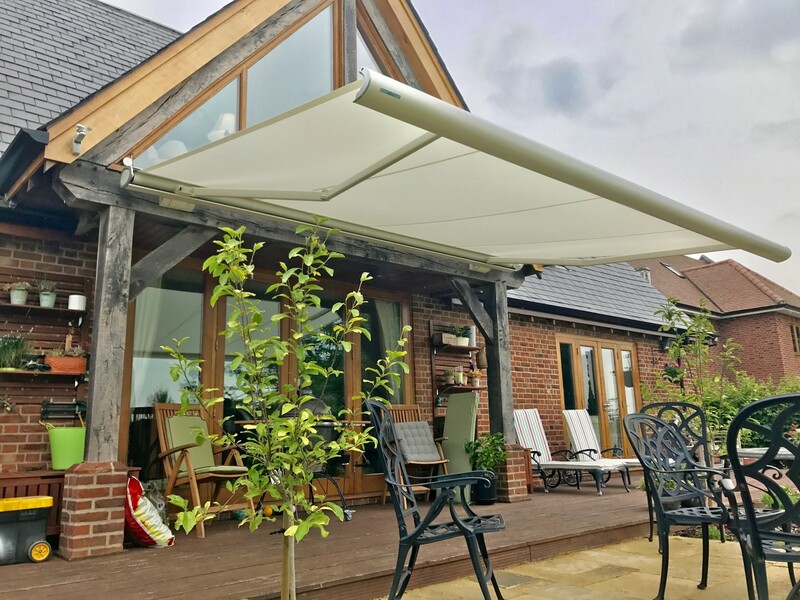 We ordered special brackets in order to fix the awning to the oak beam supporting the gable ends and sourced power from the lounge situated just above. 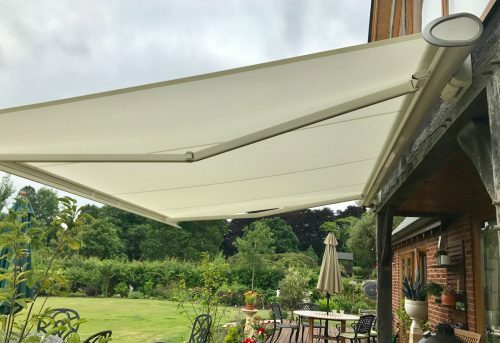 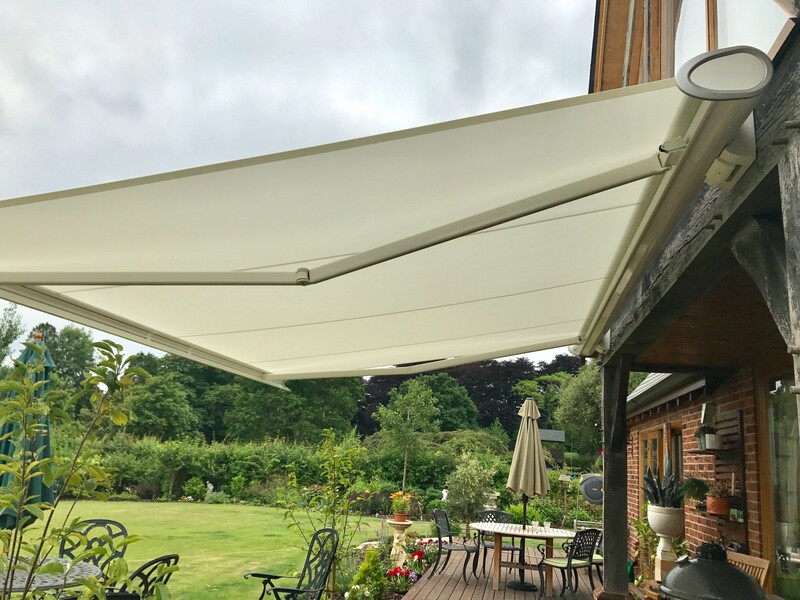 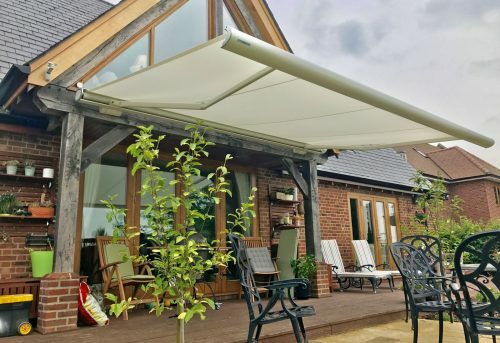 The electric awning was fitted with a wind sensor so that it retracts automatically in winds exceeding 20 mph and it can be operated using a simple remote control.